Most everyone will agree that our military service members have made a huge sacrifice serving in the Armed Forces, but what about the families who standby and support them while they are away from home? President Obama has stated that, "Our nation owes each day of security and freedom that we enjoy to the members of our Armed Forces and their families. Behind our brave service men and women, there are family members and loved ones who share in their sacrifice and provide unending support." 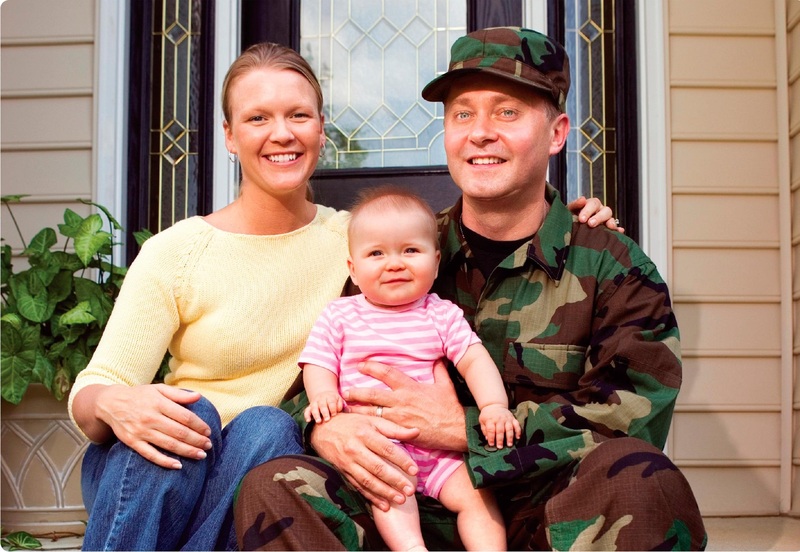 Therefore, every year the President has signed a proclamation declaring that month of November be Military Family Month. This annual proclamation marks the beginning of a month-long celebration of the Military Family in which the Department of Defense and the nation will honor the commitment and sacrifices made by the families of the nation's servicemembers. Throughout the month of November, military families serving around the world are honored through a variety of observances and recognized for their commitment and the many contributions they make every day in support of the military and our nation. Efforts to recognize the sacrifices of the military family by Active, Guard, and Reserve leaders are being joined and supported by DoD organizations to include the Army Air Force Exchange Service, Defense Commissary Agency, and others. Community leaders, businesses, and military bases and posts are teaming up to recognize military families through special events such as: open houses, fun runs, family fun nights, and community dinners; discounts at Morale, Welfare & Recreation (MWR) facilities, local business and sporting events; and special recognitions during community activities throughout the month of November. See the Morale, Welfare and Recreation at Joint Base San Antonio for more detailed events for the month of November for military families. Don’t forget Military Night with the San Antonio Spurs November 11th as they host the Detroit Pistons. You can also adopt a military for Thanksgiving too. There are many opportunities to show your support for all our military families locally and around the world. If you are thinking about buying or selling in the San Antonio, Military City USA, contact Jerry today at 210-789-4216. Visit my website for more information on available housing in and around the San Antonio bases.